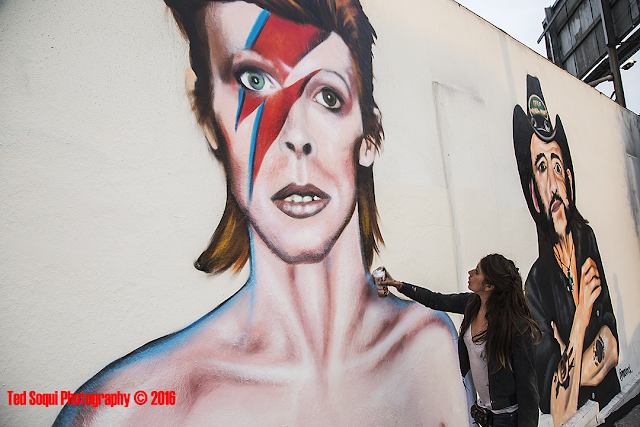 Artist Jules Muck spray paints a tribute to David Bowie who died January 10, 2015. She just finished a tribute on the same wall to Lemmy Kilmister who died two weeks earlier. The murals are in the Mar Vista area of Los Angeles.